Black Box Theatre – a semi-professional theatre company and co-operative – strives to create a bridge between the best talent in the Illawarra/South Coast and provide a performance pathway to Sydney’s theatre community. Black Box aims to provide a diverse performance portfolio with mainstream theatre productions as well as a strong focus on short plays, improvised and devised theatre. Black Box is home to Illawarra’s annual improvisation showcase PLAYMATES which seeks to bring together the theatre groups of the Illawarra to share the stage together each year in the name of fun and friendship. 2017 will see the twelfth year of Playmates, the production having represented over a dozen local theatre companies since its inception. Passionate about the short play form – Black Box’s 24 Hour Theatre Project continues in 2017 where Illawarra writers take on the challenge of scripting an original short play overnight, and watch it rehearsed and performed the next day. in 2016, the 24 Hour Theatre piece Pieces of Time written by Alexander Cuff was hand selected by Director Luke Berman, redeveloped to take to the 2017 Short+Sweet Sydney Festival. The play, renamed Time Squad won best play of its week and advanced to the prestigeous Gala Finals, representing the best 10 plays of 150 staged in the World’s largest short play festival. This continues on from the success of Tom Peach’s black comedy Doctors Orders which was selected from the 2015 24 Hour Theatre Project. In 2014, Black Box Theatre joined forces with the King St Theatre to bring Harry Gibson’s adaptation of Irvine Welsh’s TRAINSPOTTING and received an electric response from audience and critics alike. Starring Sydney Inner west actors Damien Carr, Taylor Beadle-Williams, Leigh Scully and Illawarra product Brendon Taylor. On the 8th August, Black Box Theatre performed it’s final season of TRAINSPOTTING at THE VAULT in Port Kembla. Prior to Trainspotting, Black Box Theatre produced its first 24 Hour Theatre Project which performed at THE TAP GALLERY Darlinghurst and a short play Reflections In A Sunday Mirror as part of the Short+Sweet Sydney 2014 Top 80 Season. Black Box aims to build a core group of creatives who will contribute their experience and talents to the company and learn new areas of theatre production to increase their ability to work in the performing arts industry. Luke is a Wollongong based actor, director, independent theatrical producer and performance arts advocate. He has been involved in a long list of stage productions, ranging from mainstream to the abstract. Luke has been highly involved in producing theatre in the Illawarra region as well as Sydney. 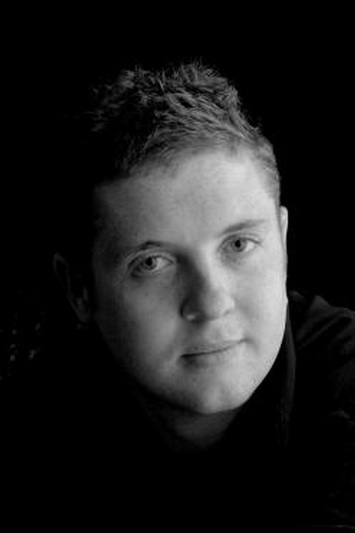 Luke is currently the Festival Director of Short+Sweet Illawarra which will launch in Wollongong in October 2018, and has previously worked with Short+Sweet Sydney as Production Manager and Head Stage Manager. He is the founder and producer of Playmates Illawarra – Wollongong’s annual improvisation sensation and is the producer for Black Box’s 24 Hour Theatre Project in both the Illawarra and Sydney. Luke directed Black Box’s Sydney and Illawarra Premiere of TRAINSPOTTING, which went on to achieve widespread critical acclaim, as did his production of Our Country’s Good at the Roo Theatre Company. His first full length play was David Mamet’s Glengarry Glen Ross, which was followed with the moving drama Proof by David Auburn both with the Wollongong Workshop Theatre. His final directing piece at the intimate space in Gwyneville was his 2011 music theatre piece Migratory V.
His acting credits include Macbeth, The Boys, A Midsummer Night’s Dream, One Flew Over the Cuckoo’s Nest, Pygmalion Now, Run Rabbit Run and The Importance of Being Earnest. Luke has had a great deal of experience directing and acting in short plays, particularly the ever growing ten-minute theatre form. Luke has directed in the top strand of Sydney’s Short+Sweet festival for ten years. In 2017, Luke directed the play Time Squad which judges chose as the best play of their week, and went on to perform in the high profile Short+Sweet Sydney Gala Finals. Other plays he has directed include Doctor’s Orders, The Commuter, Three In One, Ill Met By Moonlight, Little Blue Pills, Under A Suicide Cow, Meat Puppet Epiphany) and has acted in several productions including Gala Finalist Hayaati (My Life) as well as Time Squad. In 2011 Luke took on the role of overall festival Production Manager & Head Stage Manager. Click here for a complete list of productions Luke has been involved with since 2003. Thank you lovely Lucy. Look forward to working with you again also. Top marks Mr Berman! Looks great. Cant wait until playmates. Im sure SPAT would like to hold an evening promoting this event. Feel free to attend the next meeting. I think we will be having our next meeting closer to the gong. We are also putting on a new production ‘Murder in the House of Horrors’. Fri 25th , Sat 26th June and Fri 1st and 2nd June. Hey mate hope the show is going well. Sounds very exciting, you guys are going to do great again this year! Can’t wait!